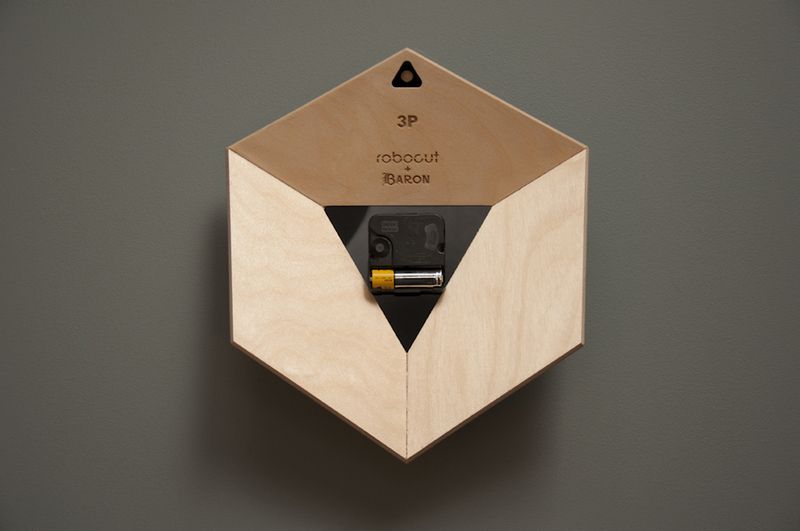 The 3P clock in geometric minimalist wood was jointly designed by Robocut design studio. The name of the 3P Clock was derived from its shape which has 3 vanishing points. 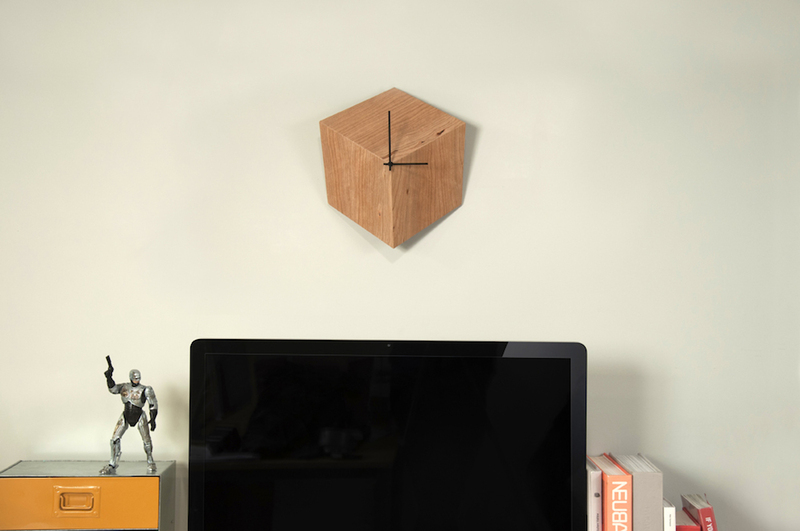 The 3 segments which form the clock face are made entirely of cherry wood and together create a hexagon shape. 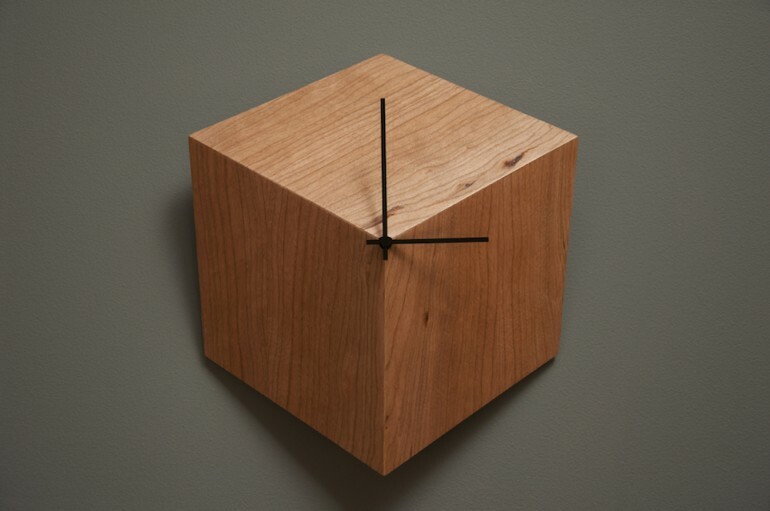 The 3P Clock looks like a cube but this is merely an isometric illusion based on how the brain puts together the shading and the tapering perspective of the parallelograms. 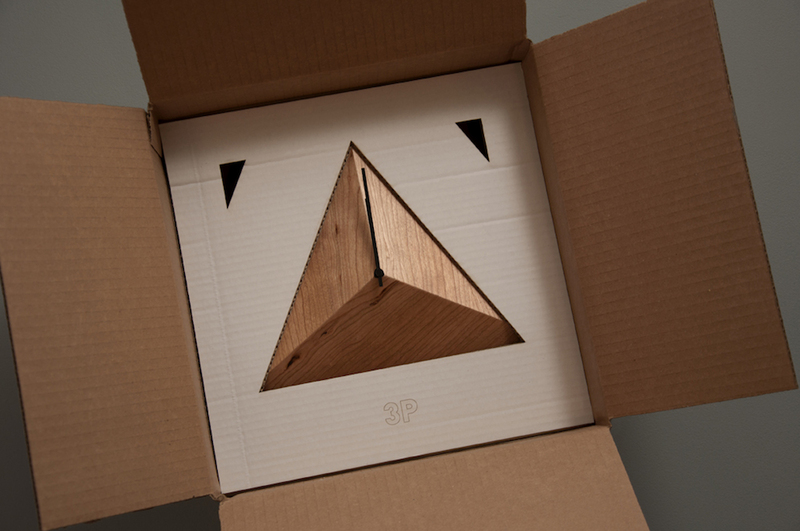 Note that the face of the 3P Clock isn’t completely flat as is often the case with examples of this illusion, just not as pointy as a real cube would be with a depth of 3.5 inches and length of 10 inches.